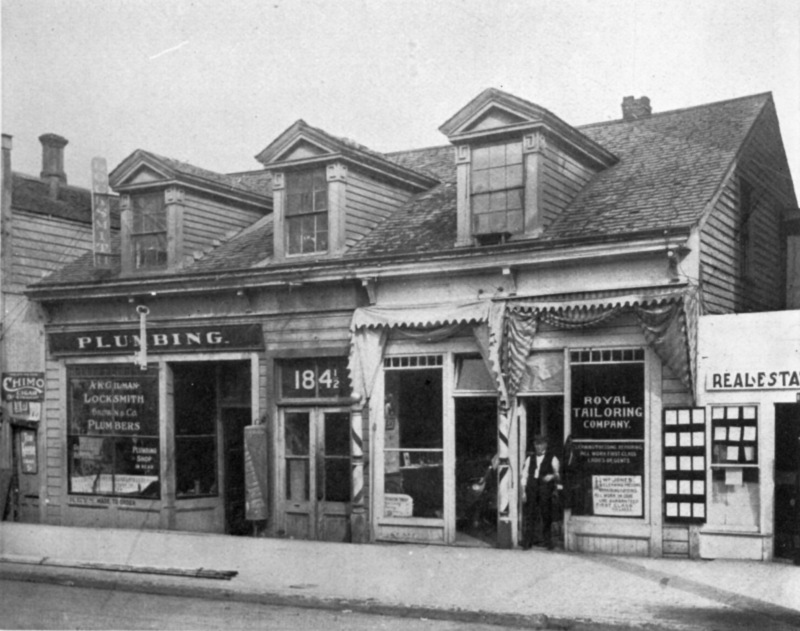 The “Old Crosby House” was the first frame residence in Portland. According to “The Centennial History of Oregon, 1811-1912” this “first palatial residence in the new city” was built by Captain Nathaniel Crosby in 1847 on the southwest corner of 1st and Washington. It was later moved to this location on the east side of 4th Avenue between Yamhill and Taylor Streets. That location today is approximately the exit of the parking garage on that site. 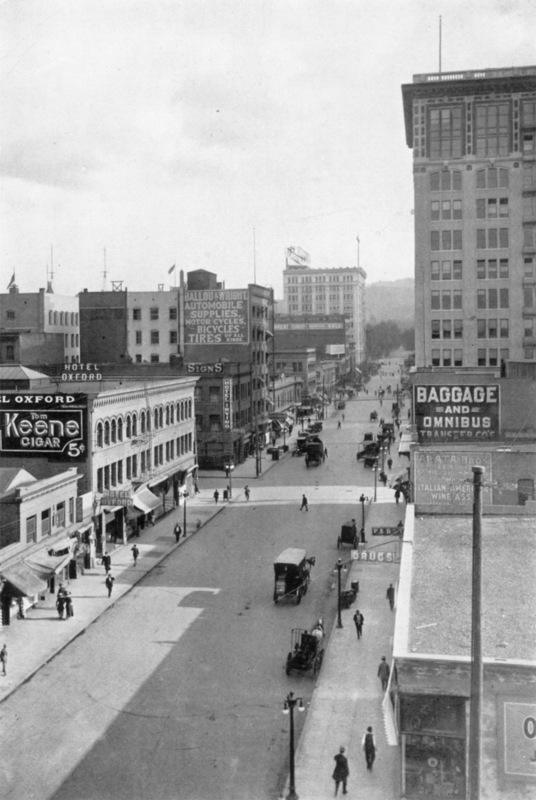 This is a lovely view down SW 6th Avenue one hundred years ago. Horses still outnumber automobiles by a large margin on the wide streets. The 1907 Wells Fargo building on the right, between SW Oak and Stark, is Portland’s first steel-framed building and is considered the city’s first skyscraper.